If Arts & Crafts Walls Could Talk: Paper, Paint, or Stencil? Far from being silent witnesses to the life of a home’s occupants, walls played a crucial – and often overlooked – role in the Arts & Crafts‐era interior. Whether painted, stenciled, fabric‐covered or wallpapered, a room’s surfaces were no less an expression of personal taste or artistic ideals than the famous furniture and decorative objects to which they played backdrop. 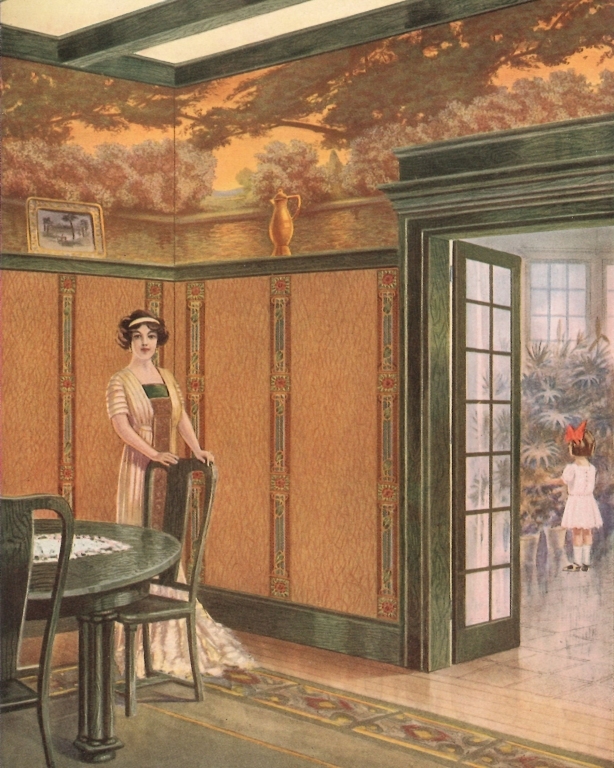 In this highly visual presentation full of rare period images and examples, you’ll discover the wide range of beautiful wall and ceiling treatments that could be the real scene-stealers in early 20th‐century homes. Bo Sullivan is the owner and founder of Arcalus Period Design, an old-house consulting resource, and Bolling & Co., purveyors of rare antique wallpapers.